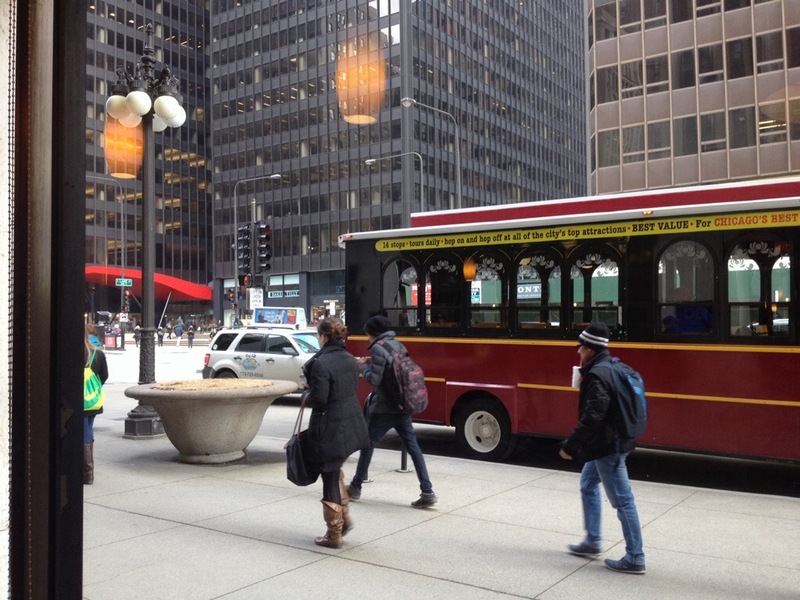 Posted from Chicago, Illinois, United States. Ok, I know it’s not real Chicago Italian-American food, but it’s a regional chain I’ve heard about. 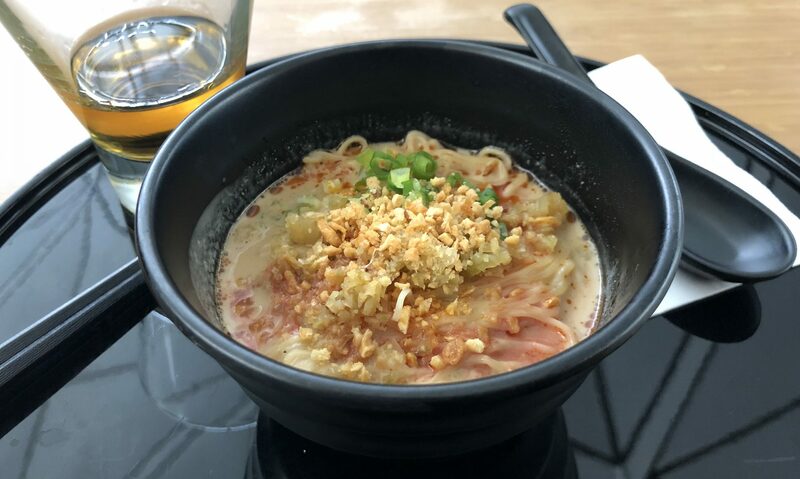 Noodles & Company makes all things noodlish, from Asian to Italian styles, and represents something you just don’t find in LA, hot hearty convenient food for a cold day. I’m a sucker for good Mac and cheese, and very picky about it. 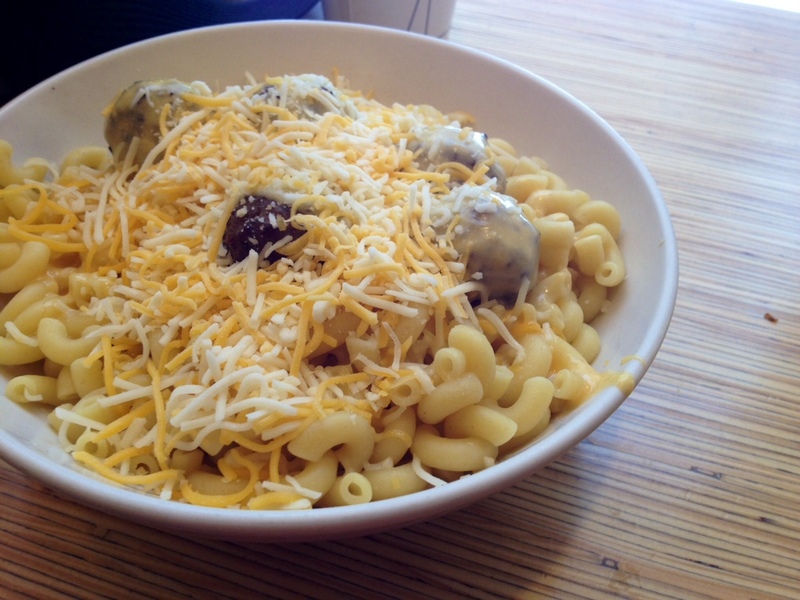 So I knew it was a gamble to try their Wisconsin Mac & Cheese with meatballs. If you like the blue box, you’ll probably like this. The noodles are very hot and al dente, but the cheese sauce tastes powdered. The pile of factory shredded cheese on top didn’t melt and didn’t add much to the dish. The meatballs had great texture and a lot of rich flavor with a nice oven toasted crust, but were very salty. But within a few minutes the whole dish had congealed into a lumpy gross mess. Pearl fared much better with the Bankok Curry. 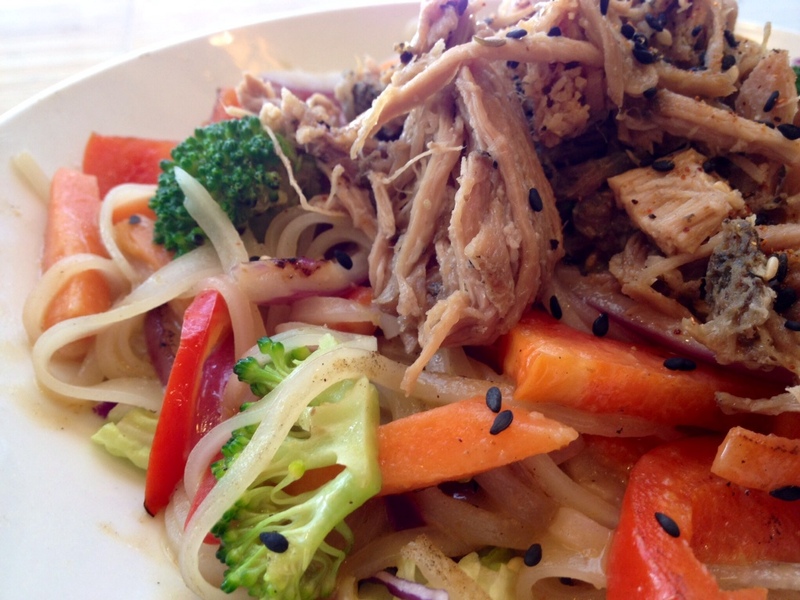 Pulled pork on rice noodles tossed with fresh herbs and vegetables in a nice light spicy gingery sauce. Certainly not Thai, and not a curry either, but quite delicious. Add a delicious dash of Siracha and you’re all set!